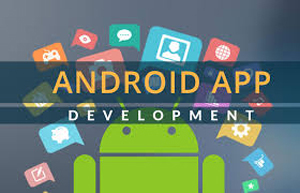 Android Applications are more preferred by many companies over iPhone app development because yes, Android Smart phones are practically being used by more numbers in themarket in compared to iPhone. Main reason behind the Android popularity is at alow price, you get all the good points and services of an iPhone. Moreover, the screen size of the smartphone is big enough along with their performance is at par with iPhone. In fact, not only now, but Androids have improved greatly from what it had started with, so it has a higher market share! Hence everyone first comes up generally by mobile apps on android and later after they get popular or succeed, will they think of spending on IOS apps. STEP 1: Think of your Target Audience and be clear about what do you want in your mobile application. This app would work on all Android phones, Android Tablets, Virtual reality and Android Wear. Hence from needs and requirements to external looks, write everything down to be clear in your specifications to the company. 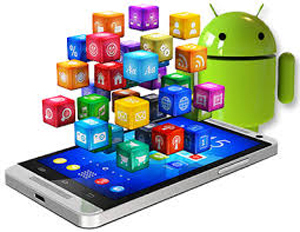 STEP 2: Research online and make a list of all companies that offer android application development Thane. Once you form a list, go through all the companies’ websites and see their offerings. Check their client's list and look for their review on social media. This way, you would get a good reputation check report and choose the top 4 companies whom you think can do your work successfully. STEP 3: Check the mobile apps yourself developed by these companies. By personally installing and browsing through the mobile apps, you can judge the technical expertise these companies have and what suits your work style better. Even look for mobile apps similar to what you want as that way you would be asure shot to receive the best outcome on choosing that particular company. STEP 4: Shortlist and meet on appointment. In themeeting, let their team representative give a good idea about their offerings and if you are happy with it, share your mobile app development requirements. Ask them to work on it and fix up the next meeting. Similarly, do with other shortlisted companies. STEP 5: On receiving their mail for ideas for your android mobile app, judge whoever has given their 100% and seems more practical on both cost as well as quality perspective. STEP 6: Meet the android development company who has stolen your heart for further formalities and contract. Be open and take commitments initially on project privacy and information you give. To simplify your decision, we had made a survey and found www.W3idea.com as one ideal company for mobile application development. You would be happy to know that they specialize in making android based apps. So contact them now!